After train service got introduced in India, there was a proposal for constructing a rail line in Shimla. It is mention worthy here that intensive surveys were held prior to the start of the actual work. The first survey took place in the year 1884 and the second one in the very next year (1885). The report thus obtained from these two surveys was presented before the Indian government in 1887. After a lot of brainstorming, it was eventually decided that the route would be made on adhesion line instead of rack system. 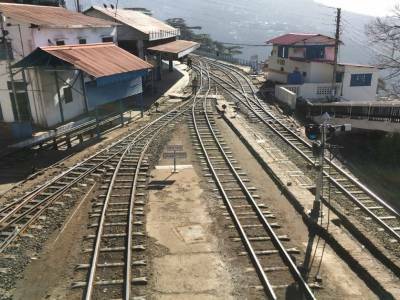 Initially, it was decided that the rail line would be 2 feet broad but with the intervention of military authorities, the gauge breadth was further increased and made standard 2 feet 6 inches. The route was finally opened in the year 1903. 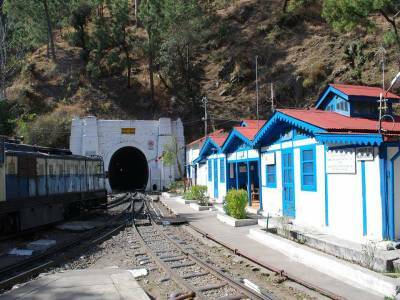 The train travels through the predominantly mountainous-route from Kalka to Shimla. A dramatic and vintage view of the hills and surrounding villages is obtained from the train. 864 bridges and 107 tunnels were built along the route on course of its construction. H.S.Harington was the chief engineer of the project. All the assets of the KSR (Kalka Shimla Railway), incorporating the lines & vehicles, stations, all belong to the Government of India (GOI) falling under the Ministry of Railways. Everyday management and maintenance along with several programs, departments and divisions are handled by the northern railway. 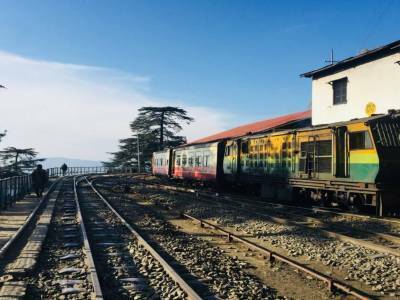 The Kalka Shimla Toy Train is a UNESCO heritage site. There are five trains namely Rail Motor, Shivalik Deluxe, Himalayan Queen Shimla Express and Shimla Kalka passenger. During summer, owing to the high volume of tourists and rising demand, two special holiday trains are provided as well. The time taken to reach Shimla is about 5-6 hours and is 96km long. 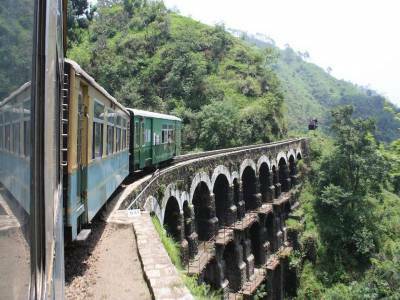 The Kalka Shimla Toy Train ride is truly a wondrous one encompassed with amazing beauty throughout the journey. 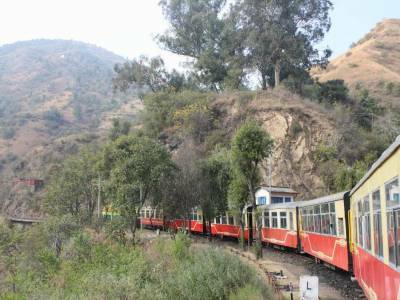 Get quick answers from travelers who visit to Kalka Shimla Toy Train.